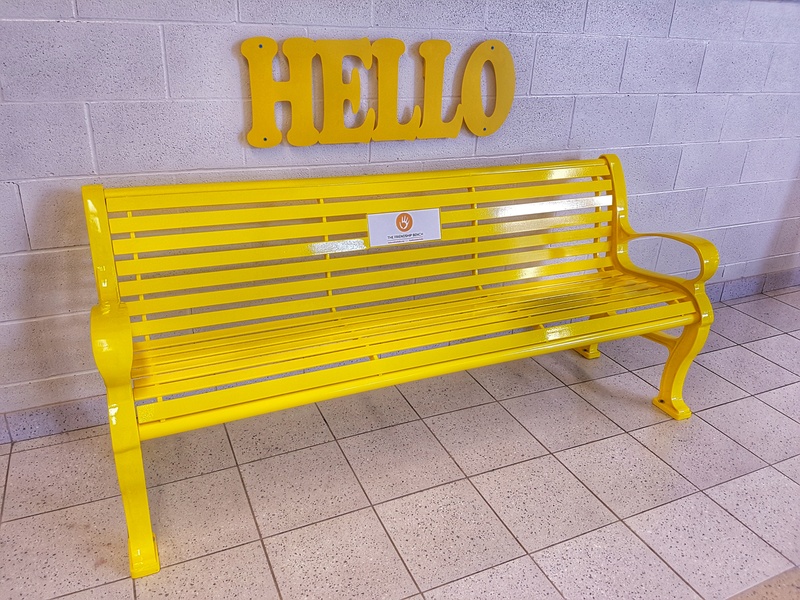 This week our team visited Fletcher’s Meadow Secondary School in Brampton, Ontario to officially unveil The Lucas Fiorella Friendship Bench and our #YellowIsForHello campaign. The school’s principal, Dana Sheahan, Siobahn Catalano, and the student mental health committee were instrumental in providing the funds to support the program and for taking the initiative to bring this campaign to this very large high school. Students from across all grades were invited to the main foyer this morning to participate in a short dedication ceremony in which the Principal and school counsellors shared some insights about the importance of mental health awareness just before Sam Fiorella, Co-Founder and Managing Director of The Lucas Fiorella Friendship Bench initiative shared some personal insights about the high expectations placed on students and the dangers of those if left unspoken. 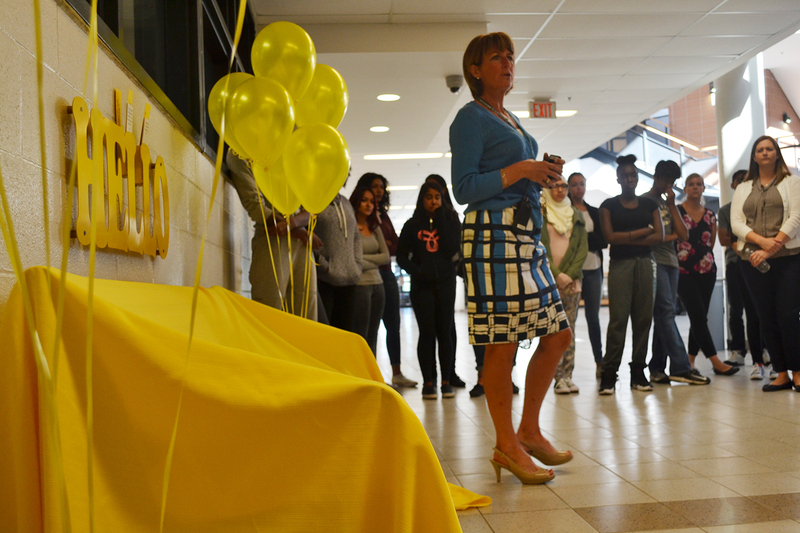 Dana Sheahan, Principal of Fletcher’s Meadow Secondary School address students at the unveiling ceremony. 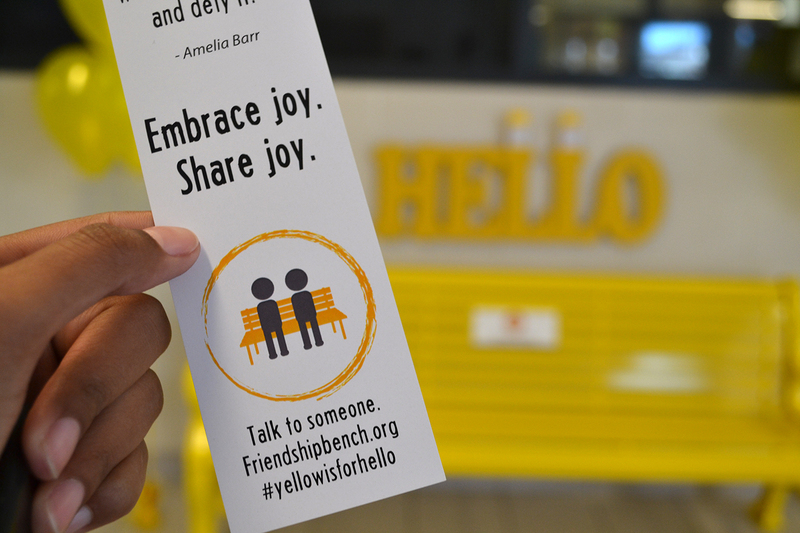 We were pleasantly surprised by the bright yellow “HELLO” sign we found mounted above the bench when we arrived. 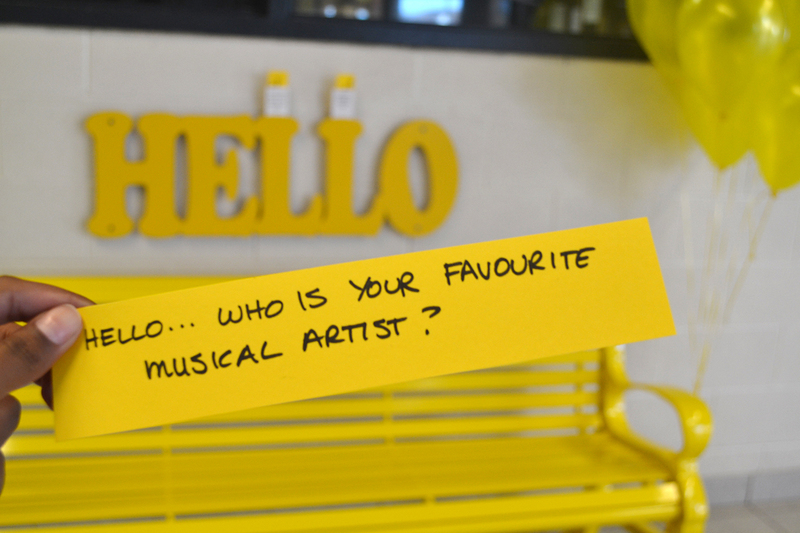 Ms. Sheahan explained that she had it made to remind students to say “hello” to each other as part of the #YellowIsForHello campaign. In addition, the sign was made to hold our mental health bookmarks as well as “conversation starter cards” made by the student mental health committee. Brilliant idea! After the ceremony, Sam and the faculty lead the students in a chant of “HELLO!” as they unveiled the Friendship Bench. 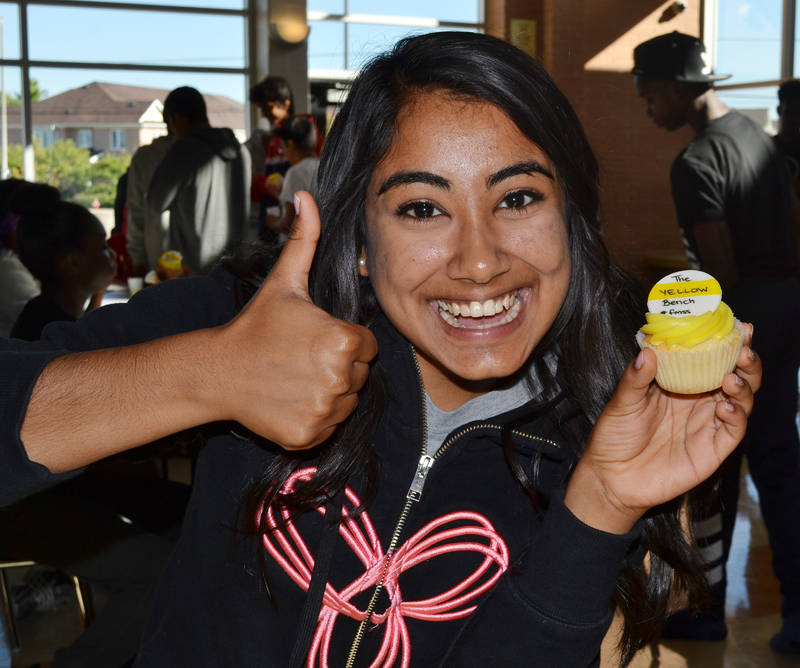 Sam reminded students that the bench is to be used: “Use it to take a short breaks from the stress of daily scholastic life and check in with friends, take a minute out to think about your mental health and that of the friends around you.” Thanks to student volunteers, everyone gathered for some conversation about mental health over tasty yellow cupcakes! Many thanks to the students and faculty at Fletcher’s Meadow Secondary School for inviting us in to your community and for your dedication to the mental health of our students! We look forward to doing a lot more work with all of you in the months and years ahead!